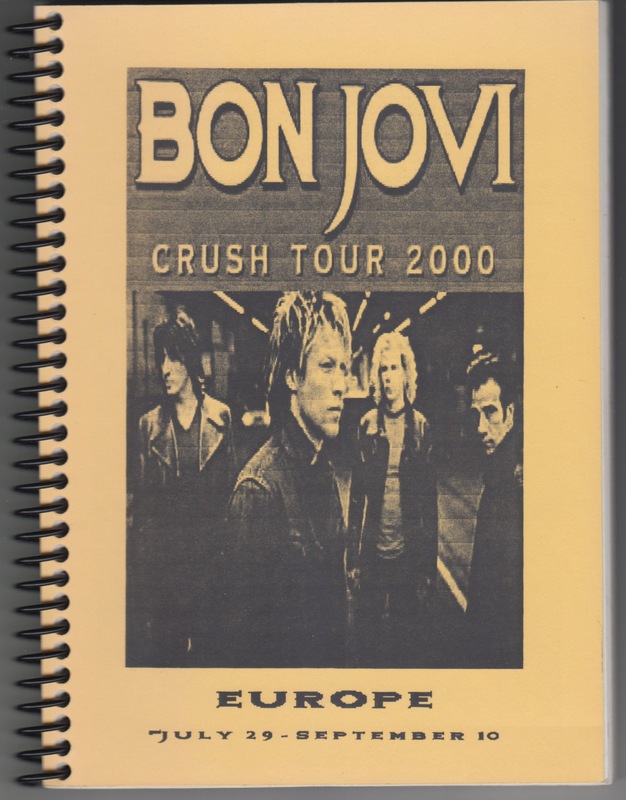 Tour dates and itinerary, tour books, such as accommodation hotels and various contacts have been written. 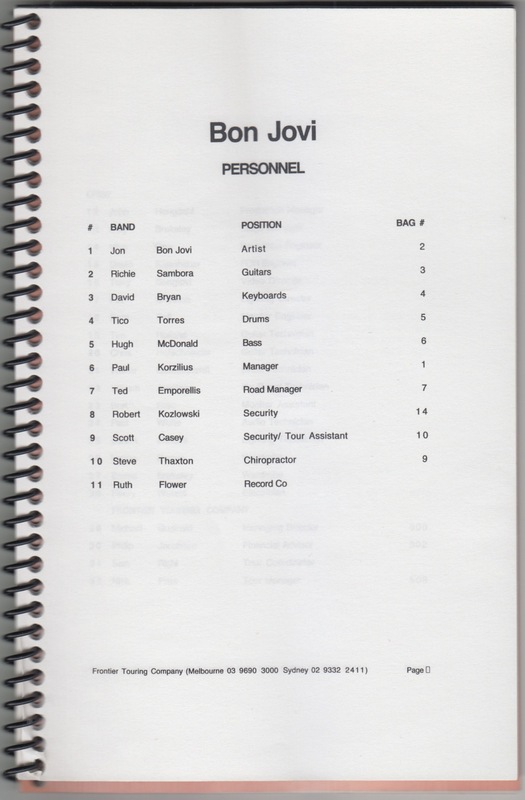 Those that have been distributed to the relevant parties, such as crew. 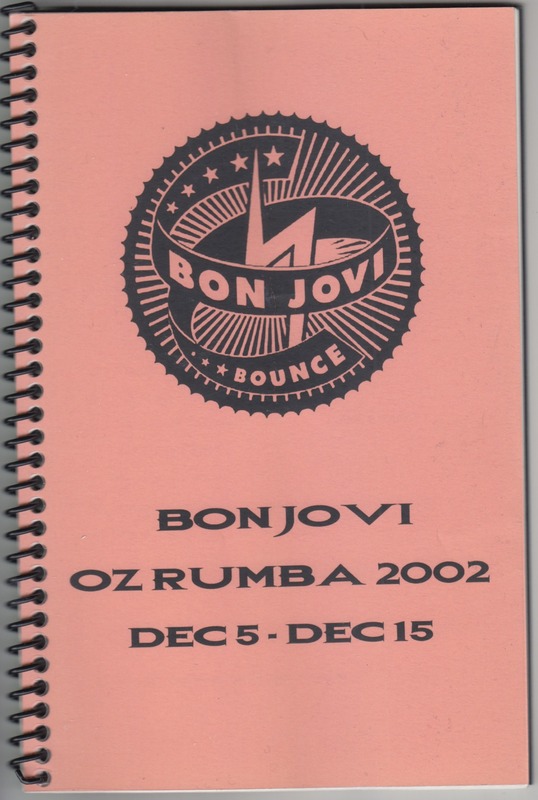 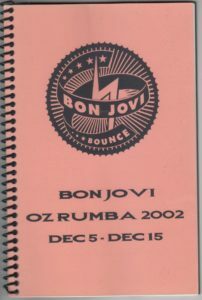 For the Australian tour of December 2002. 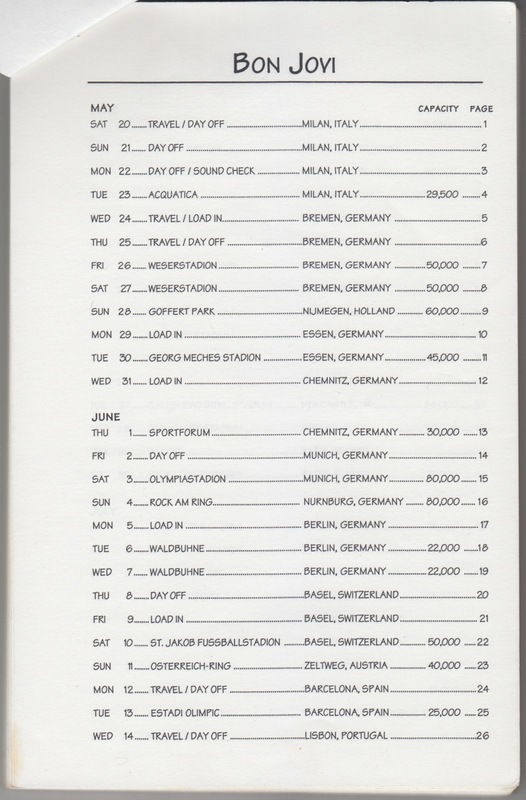 Tour dates and itinerary, tour books, such as accommodation hotels and various contacts have been written. 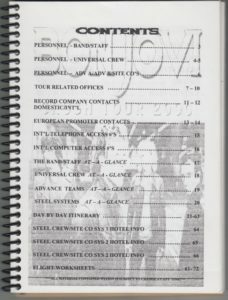 Those that have been distributed to the relevant parties, such as crew. 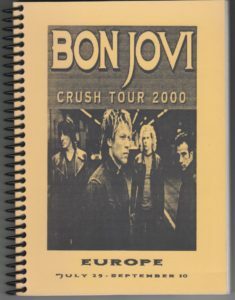 For the Europe tour of to September from July 2000. 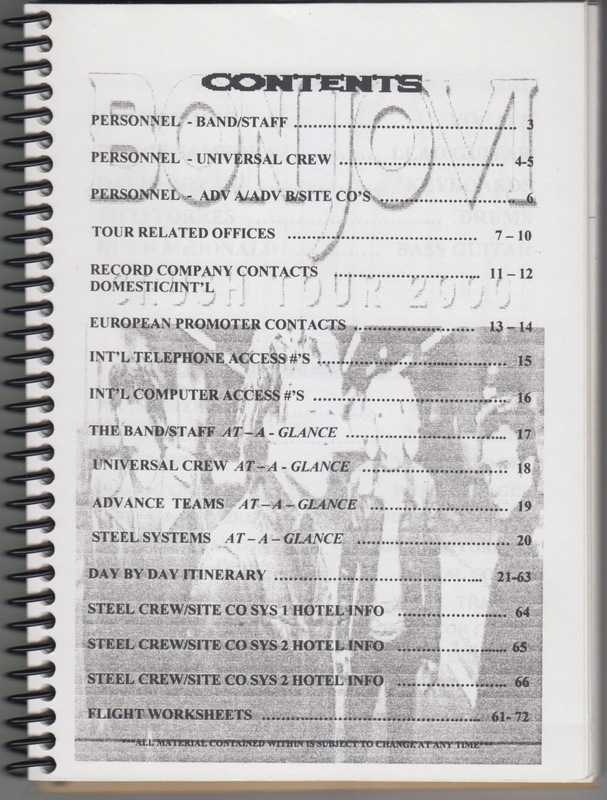 Tour dates and itinerary, tour books, such as accommodation hotels and various contacts have been written. 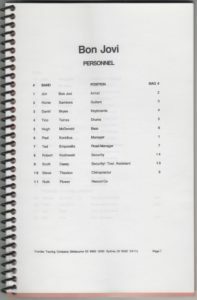 Those that have been distributed to the relevant parties, such as crew. 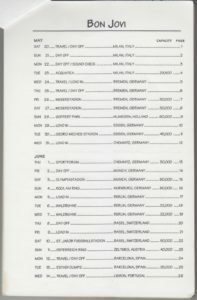 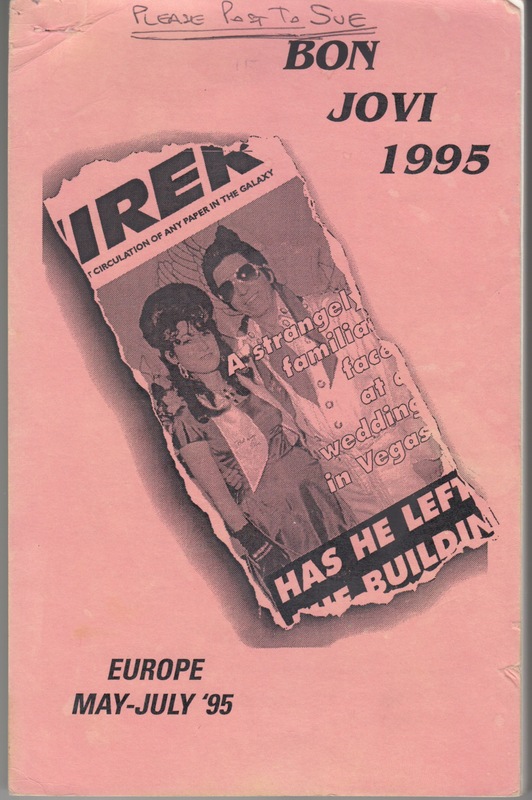 For the Europe tour of to July from May 1995.